With the 4th of July behind us and Labor Day looming in the horizon, back to school time will be here before we know it. With only a few more weeks before its’s time to send the kids off to school, now is the time to get prepared (if you haven’t already) for the first day of school. We’ve compiled a few lists and tips to make this year’s first day an enjoyable one for everyone in the family. 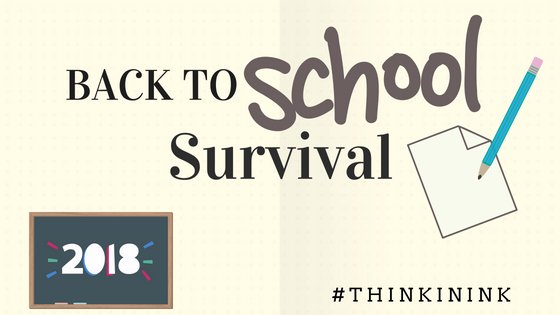 Helpful tips to make the back to school transition easier. Get back into the routine in advance! Transitioning back into a school routine can be rough, lessen the blow by transitioning into a school night bedtime routine at least one week before the first day. It’s also helpful to have the kids get up around the same time they would be getting up for school the week before too. Don’t forget to prepare yourself. Stay on top of the new school year this year with a new bullet journal or notebook dedicated to this year’s schedule. Make sure to log in important school dates, holidays, extracurricular activities, sports practices and events, and anything else that you’ll want to make sure you’re keeping track of throughout the year. Having all of these dates in one location is gold, especially when you are dealing with more than one child’s schedule. Check out Piccadilly’s line up of bullet journals and notebooks and get started on you back to school planning.